Ruth’s first memory of sewing was on an old treadle sewing machine in Guernsey at the age of 5 and she has sewn constantly ever since. After studies at school in dressmaking and textiles she spent 6 months with London Designer Rory West as a sample machinist constructing Couture garments for Selfridges and Harrods until she joined Bogod Machine Company in London, the sole importers of Bernina Sewing Machines since 1946, as a tutor and sewing machine demonstrator. During the next 11 years she also worked part time for the Camden Adult Education Institute (I.L.E.A) and Wandsworth Adult College and at weekends worked for Andrea Coggins, professional quilter for Rainbow Quilts. From 1985 Ruth made her first annual trip to Southern Ireland and soon started to write the first of many new sewing machine courses for Grania McElligott and teach at The Quilt Art Workshops in Naas. From 2000 she went on to teach at the Lakeland Quilt Fair in Cavan and still travels annually to instruct and inspire wherever requested. During the last 20 years Ruth has given teacher training instruction, City & Guilds tuition and Adult Education for Kent, Surrey, Westminster, Kensington & Chelsea, Richmond, South Thames, Wandsworth and Tooting Adult Education Colleges. Ruth has been freelance since November 1992 and is constantly busy giving tuition all over the U.K and Ireland and even as far as West Africa! Any spare time is devoted to devising additional and exciting new courses, developing techniques and experimenting with numerous sewing machines and the latest sewing Computers and Software programmes. Ruth offers a full range of ever increasing courses and workshops including the 5-day courses she originally devised for Bogod Machine Company in 1988. 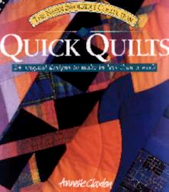 Ruth worked with Annette Claxton on her book Quick Quilts in 1996 which is still available through Amazon and since then has developed a whole series of machine patchwork and additional quilting courses for beginners and the more experienced quilters and is adding to them all the time according to the demands of her students. 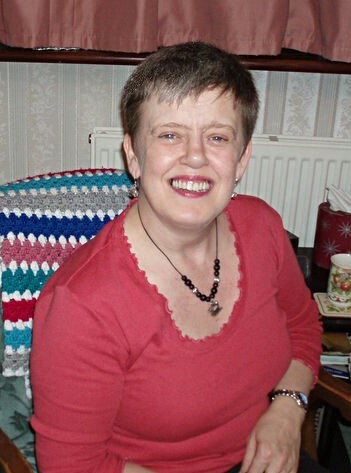 From October 2001 to July 2005 she had a regular column in the Quilters' Guild of Ireland newsletter 'Ask Ruth' and has written for several magazines and various sewing publications during the years including a 7 Part article for Sewing World in 2004 "Best Foot Forward".